“I just do my own thing. I don’t pay attention to trends or worry about what’s going to sell," said Scolnick. 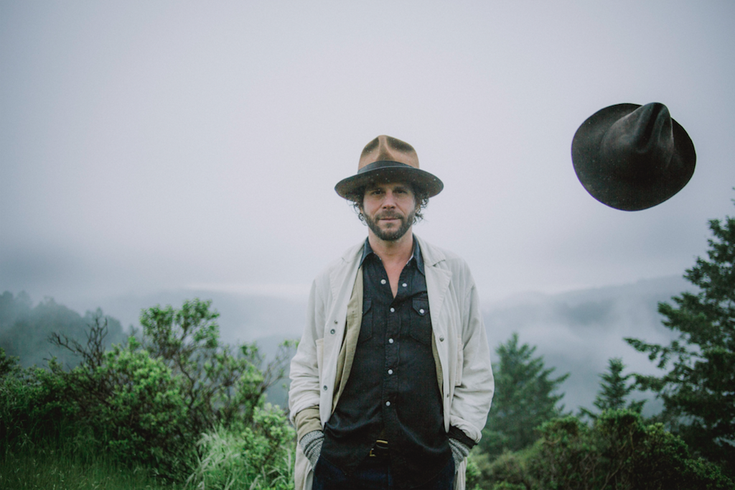 It will be a hometown concert of sorts for Langhorne Slim when he performs tonight at Union Transfer. The singer-songwriter, who hails from Langhorne, hence the colorful moniker, left the area 20 years ago for Brooklyn and is a Nashville resident these days. However, Langhorne Slim, a/k/a Sean Scolnick, 37, still views any Philly concert as a hometown gig. “I came of age there,” Scolnick said while calling from New York. Such uncompromising high art acts as Sonic Youth, Jon Spencer’s Blues Explosion and Beck helped shape Scolnick. The prolific writer has become a venerable folk-punk recording artist who tosses in country and blues into his sonic potpourri. “I like to mix things up,” he said. Scolnick’s songs, some of which recall early Beck (think “One Foot in the Grave” era), can be either sardonic or serious. Scolnick’s rootsy tunes recall a bygone era. The charismatic Scolnick writes and records in a vacuum. The inventive songsmith is seven albums and one EP in with a pair of albums on the horizon. “Lost At Last: Vol. 1” will drop in November. Scolnick has completed the unnamed follow-up as well. The adventurous graduate of the Solebury School doesn’t care who will post the unreleased material on YouTube. He expects to preview a number of songs from both albums at Union Transfer. “I don’t worry about anything at shows but playing songs that I want to play,” Scolnick said. Scolnick is going to stick around the area after his show. His childhood best friend is getting married in the Delaware Valley over the weekend. Langhorne Slim & The Lost At Last Band appear Thursday, Sept. 28 at Union Transfer, 1026 Spring Garden St., Philadelphia. Twain will open. Tickets are $18 in advance and $20 at the door. Show time is 8:30 p.m. Call 215-232-2100 for more information or click here.